Day 12 – The “right” way to cook quinoa. We have thousands of quinoa recipes in the US now – most are delicious, my favorite being quinoa salad made with olive oil, balsamic vinegar, raisins, almonds, kale, lemon juice, and a few grated carrots and beats for color. Yum! Pisara – consumed as a side dish, much like rice. Wash the quinoa seed by putting it in a large bowl and covering it with about 3” of water. Roughly rub the quinoa seeds together under the water with your hands. Soon your water will be turning cloudy. Take a fine strainer and pour off the cloudy water, being sure not to lose your quinoa seed in the process. Repeat this 2-3 times until the water runs (mostly) clear. Now your quinoa is clean and ready to cook with. Even the most professionally processed quinoas, still have remnants of saponins on them. Always wash your quinoa before you cook with it and you will have light, fresh tasting dishes. Cooking with “dirty” quinoa leaves a bitter flavor. Meanwhile, in a medium-sized saucepan bring to a boil 1 ½ cups of water. Once your quinoa is dried and toasted (light yellow in color), transfer it to the boiling water. Turn down the flame and let it simmer for minutes. Turn of the flame. Cover the pot and let the quinoa sit for 5 minutes more. Fluff up the grains with a spoon and you now have Bolivian pisara. The quinoa can be lightly salted and enjoyed in its natural state. Other flavorings can be added too. This is a dryer, nuttier tasting way of eating quinoa. Pito – I still believe there is a place for this in the US culinary craze. Pito is a toasted, powdered form of quinoa that is traditionally consumed mixed into drinks for a lovely chocolate-like flavor, or eaten dry with sugar sprinkled in it. I think it will go well with power shakes, Bullet recipes, blender drinks and sprinkled over yogurt. Here’s how to make it. Wash the hot quinoa seeds by putting them in a large bowl of cold water with about 3” of water covering the seeds. Roughly rub the quinoa seeds together under the water with your hands. Soon your water will be turning cloudy. Take a fine strainer and pour off the cloudy water, being sure not to lose your quinoa seeds in the process. Pour fresh water over the quinoa again and leave it to soak for the night. It may begin to sprout – that is fine. In the morning, pour off the water and re-toast the quinoa until it is dry using the same hot skillet method as before. In a clean grinder (like the Krups coffee grinders) grind up the dry, toasted quinoa seeds until it is a semi-fine powder. This is your pito! Pito can be eaten in a shallow bowl with a spoon with sugar sprinkled over it – be sure to have some tea of coffee nearby to help it go down – it’s dry. Use ¼ cup of pito and 1 teaspoon for granulated sugar for starters. Pito can be made into a hot or cold drink called Refresco. Add 1 heaping tablespoon of pito to a cup of boiled water (or ½ cup milk and ½ cup water) and stir. Add a teaspoon of sugar or honey if you wish. A cinnamon stick can be boiled in the water/milk too. Drink this either hot or room temperature, stirring frequently. Alicia’s recipes for Pito and Pisara are best made with chana moka quinoa – which is currently not available in the US. Another recipe Alicia and thousands of native quinoa farmers prepare is a gelatin using caslala, quispina or ch’illpi quinoa – also not available in the US is a very simple and highly nutritious gelatin. This recipe is similar to pisaga but does not toast the quinoa and uses 3 cups of water and a cinnamon stick instead of 1 ½. A cup of washed caslala, quispina or ch’illpi quinoa is cooked down in the water until it becomes thick. Then it is poured into little cups and left to cool overnight, becoming gelatin the next day. Sugar, honey or maple syrup can be sprinkled on top. Caslala, quispina or ch’illpi quinoa is also used in flour when baking quinoa bread, cakes or cookies. Traditional Andean people would never dream of using any other variety other than caslala, quispina or ch’illpi quinoa when they bake. In the US we have no access to the caslala, quispina or ch’illpi quinoa variety of quinoa so our quinoa baking flours are often mixed with tapioca, chickpeas, or potato starch to make them glutinous. Cslala, quispina or ch’illpi quinoa has the stickiness needed for banking, naturally. I am interested in working with quinoa growers, exporters, and distributors to develop markets for quinoa varieties. It would be a good classroom project for my Entrepreneurship college students too. 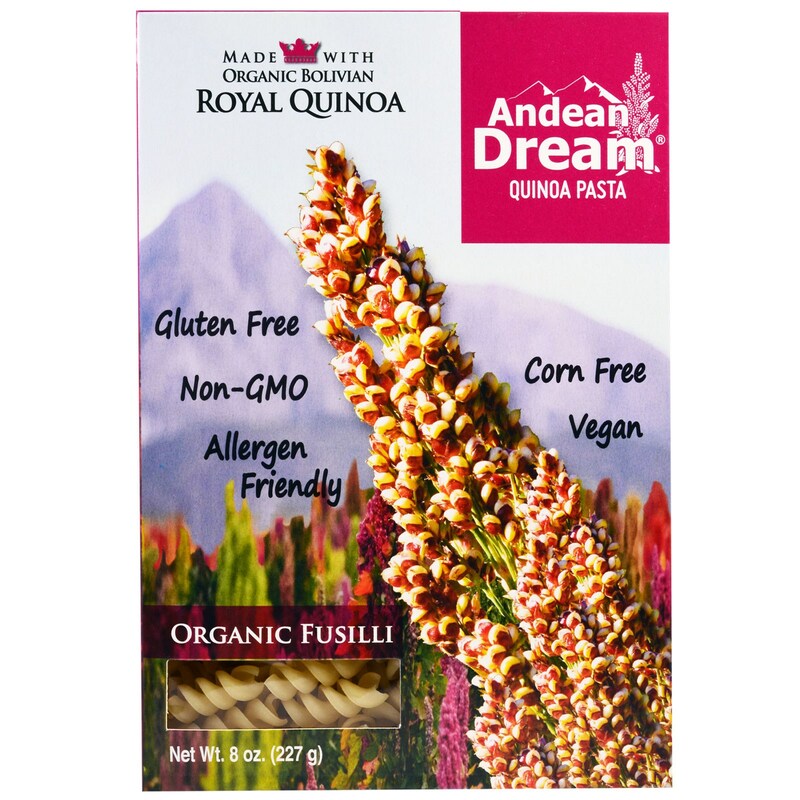 There are so many more creative uses we can get with our quinoa when we have access to the special Royal Quinoa varieties only found in Bolivia. These varieties have been stables of Andean households since pre-Inca times. Andean women would never dream of cooking with the mixed up quinoa we use today. Cooking by varieties (and not color) brings the full flavor, texture and character of the quinoa to the palette. Using the authentic Royal Quinoa varieties gives consumers the most nutrition, vitamins, omega 3s, and full proteins – more than any other type of quinoa one can buy. Jacha Inti founder, Sergio Nunez, with colorful sheaths of quinoa. In ancient times the Bolivian people lived like fisherman, eating the fish from the vast, deep inland seas that covered the altiplano. Then one day they dried up andante people and nothing to eat. They were sick, starving and prayed to the gods for help. They claimed mounting and begged forgiveness. The ancient goddess Quiua took pity on them and said not to work she would send them a plant that did everything – it would serve as bread, soup, meat, salad and rice. She sent her beautiful daughter down to help plant the seeds. The girls walked around the dread seabed and soon tiny green plants began appearing where she had walked. The princess/daughter loved to dance and would spend the afternoons dancing around her tiny green plants, her skirts a different color each day: organic, golden yellow, maroon, light pink. One afternoon the princess disappeared and was seen no more. The huge, tall seed heads of the plants she left behind turned the colors of her skirts and thus the magnificent colors of the quinoa were made. The Uyuni salt flats as seen from Fish island. Uyuni means “resting place” in the local language of Aymara. Quinoa Grower Gladys Caral’s grandfather remembers the times before electricity, cars and money – where the quinoa was the currency which people traded for other foods – the “grain of gold” as it’s known. At different time of the year, farmers would load up their llamas with blocks of salt cut from the salt flats and sacks of quinoa. Llamas can only carry about 60 pounds so long trains of 10-50 llamas driven by 1-3 families would be readied with their cargo. The farmers would walk with their llamas for about a week to reach the Chilean towns where they traded their quinoa and salt for pears. Two weeks later, the children of the quinoa lands would run and greet their fathers returning with vast cargos of delicious fruit. Other times farmers would load up their llamas and take salt and quinoa to Argentina in exchange for flour or to Tupiza in Bolivia in exchange for corn. Thus Uyuni was the resting place – where all would return from their trades. To prepare the llamas for crossing the salt flats, tiny leather shoes were made which would be wet and slipped over the llama’s delicate feet to protect them from the salt. When dry they would shrink to the form of the llama’s foot. In addition, to protect the llamas from the harsh sun glare of the white salt flats, the hair around their eyes was painted black – making it look like there were wearing sunglasses (which did not exist in that time). Donkeys were also used to carry loads but did not need the black eye protection since they were already black. They did not need boots either since their feet were harder and fitted with iron horseshoes. My passport is brushed off, visa updated, flights confirmed, bags are getting packed, visits scheduled and in 10 short days, I’m off again – to the Bolivian Andes. The theme of this Fulbright Scholar visit is: Shared Leadership in Action (or not). Here I will be exploring a working case study of the development of the Royal Quinoa Mark of Denomination of Origin (DO) – amongst Bolivia NGOs, private industry, producer cooperatives, government agencies, and international institutions. This is based on work my University of Massachusetts Isenberg School of Management students have been doing in my upper-level Social Entrepreneurship class. 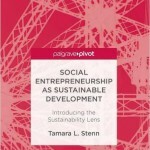 We use the Sustainability Lens – an exciting new tool I created that is featured in my new book, Social Entrepreneurship as Sustainable Development, and works with the Business Model Canvas – to build sustainability in any organization (through supply chain management, customer and employee relations, community development and more).